Tate Multimedia revealed Urban Trial Playground for Switch a couple of weeks ago. Outside of North America and Europe, the game will be seeing a release in Japan, and interestingly, a physical edition is in the works. 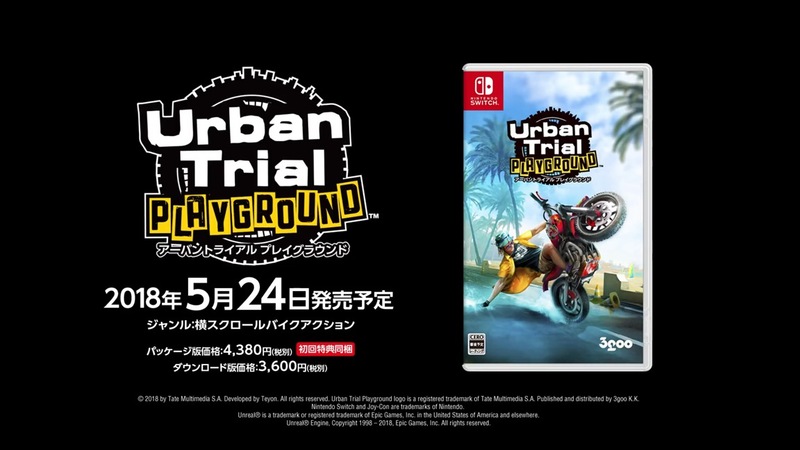 3goo will publish Urban Trial Playground in Japan where the retail version will cost 4,380 yen. On the eShop, it’ll cost a bit lower at 3,600 yen. We have Urban Trial Playground’s Japanese boxart above.